When it comes to poultry ownership, the things that work are not a one size fits all. So, as with all other aspects of livestock, it is important to consider your exact situation and needs before getting in too deep. 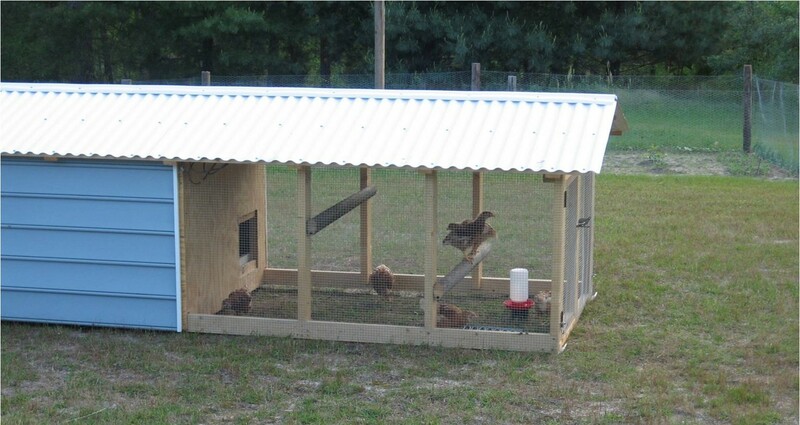 With poultry housing, there are endless option and they come in all sizes, shapes and price ranges. For some people that are not quite the do-it-yourselfer, a premade coop style may be the best option. For those that are self proclaimed handy-men, a coop designed and built by you may be the way to go. 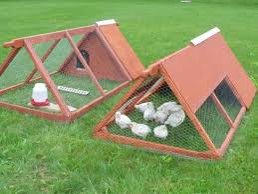 No matter what avenue is chosen, it needs to keep the poultry inside and predators and other animals out. A popular choice in coop styles at the current time is the “chicken tractor”. This style allows for a coop to be moved around giving the poultry an opportunity to forage and allow the spot that the coop is in to be changed so the waste can be distributed. With this moveable coop, the amount of insects attracted to the coop can be reduced because the waste does not accumulate. As with everything else, there is a down side. A “chicken tractor” is made specifically to be portable thus making it light is advantageous for most people. When a coop is made light it may not be strong enough to withstand a predator attack. If the coop is heavy therefore strong enough to withstand an attack, the coop may be too heavy to be moved without an actual tractor or some other vehicle. As for permanent structures, they do not allow the grazing opportunities that a chicken tractor does, but they do offer stability and protection from ground and aerial predators. Stationary coops can also come in every shape, size and price under the sun, making the opportunities for customization endless. 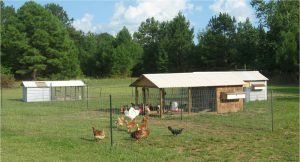 It is important to make sure when considering all of the options available for coops that you make sure they are in fact poultry friendly and exhibit all of the basic necessities a chicken will need in order to be satisfied. A chicken needs, on average, a 12″-18″ nest box that can be shared among a few hens, a roost to get off of the ground at night, between one and two square feet of floor space per chicken depending on the breed, accessibility to cleaning for your sake and the bird’s, and last but not least good ventilation to help with smell and heat dissipation. When it comes to coop considerations, there are many other considerations that should be made before deciding on a specific style. If this blog sparks your interest or you have questions, please contact your local Extension Office.